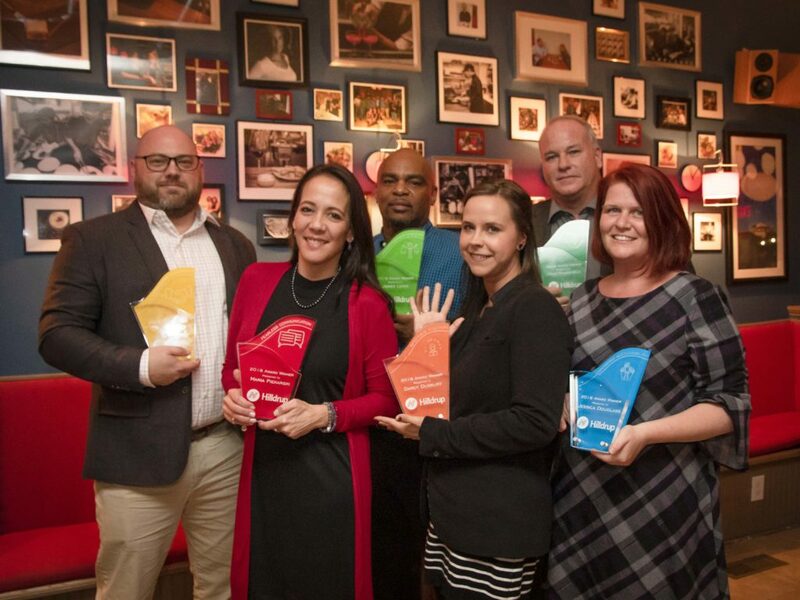 Hilldrup was honored to host our 1st annual Best of the Best Awards to celebrate those who truly live out Hilldrup’s six Values and our Vision to, Be the best moving services company, period. The theme of our celebration “Best of the Best” couldn’t have been more fitting. 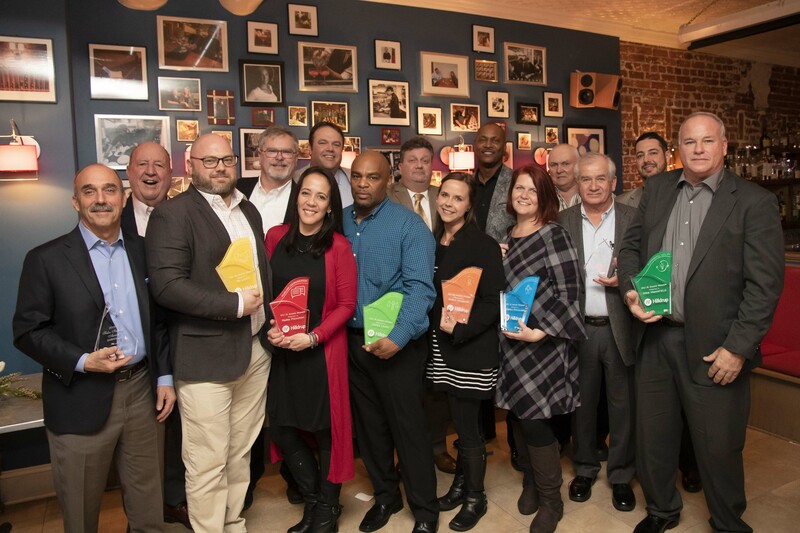 From sales teams, to office employees and van operators to an entire Hilldrup branch, the cream of the crop was recognized during an awards dinner hosted at Kybecca in historic downtown Fredericksburg, VA. The following day, a live-stream event was held at Hilldrup’s corporate office where employees, customers and family could all view the on-site awards ceremony. Throughout 2018, all Hilldrup employees regardless of branch, department, tenure, etc. were encouraged to nominate fellow employees who are truly the best to be a Value of the Year winner. Over 80 nominations were submitted across our ten branches to recognize those who shine brightest, how they exemplify all that Hilldrup stands for, and why they are so deserving of being honored as a Value of the Year winner. The work ethic and spirit of six employees were exclusively presented with a plaque representing each of Hilldrup’s six values and a monetary award for their living out the value day in and day out. The last award presented during the Best of the Best Awards was The Charles G. McDaniel Award of Excellence. Charles G. McDaniel has been a part of Hilldrup since his father purchased the business from Mr. R.G. Hilldrup in 1940. He has served Hilldrup ever since he was 12 years old, and today, Charles G. serves as Hilldrup’s Chairman. Attributes of this award’s recipient includes being the very best at what you do, trustworthiness, accountability, service to the community and living by example. Ultimately, the recipient of this award must continuously be pursuing Hilldrup’s vision, to be the best moving services company, period. There is only one person fit to win this award in its inaugural year; the honor of this award was presented to Charles G. McDaniel, congratulations! Thank you to all of our award winners, presenters and all who made this event possible for our team. 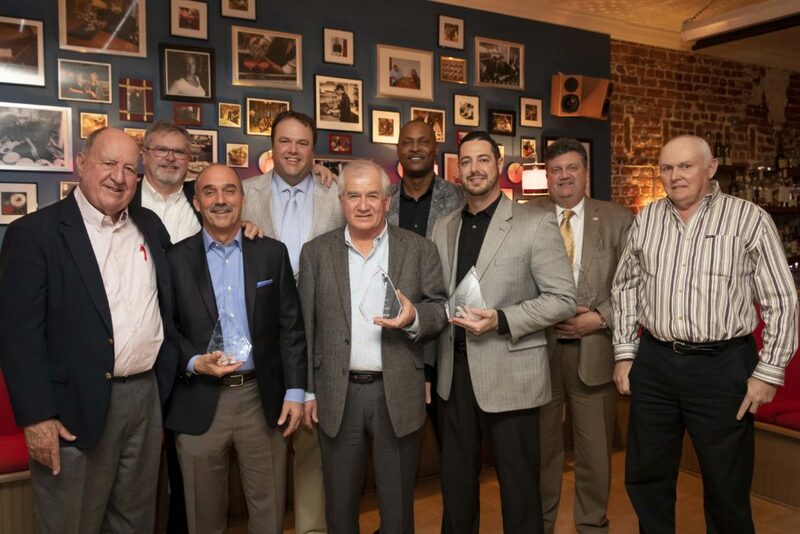 We look forward to receiving nominations for our 2019 Value of the Year winners in the coming months and continuing our legacy of providing the best services and recognizing the very best employees in the industry! Missed the livestream event? You can watch all the presenters and winners of Hilldrup’s Best of the Best Awards here. 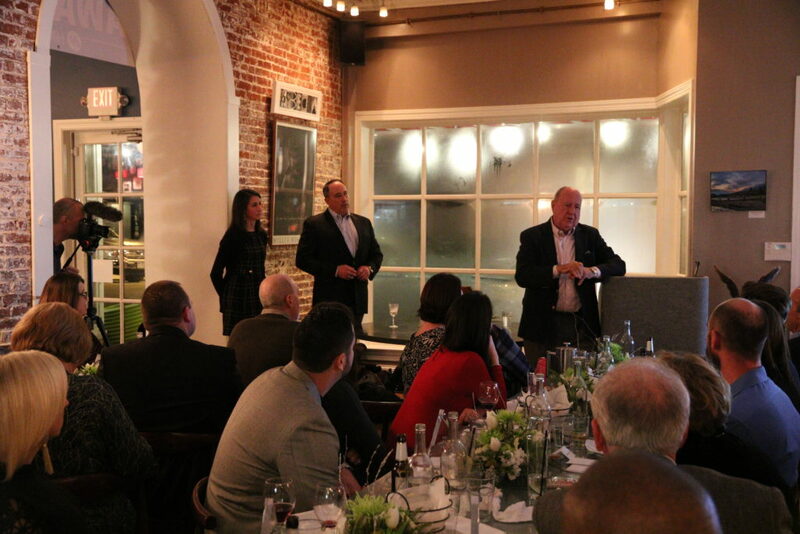 Charles G. McDaniel, Chairman of Hilldrup, takes the podium to address the attendees of the Best of the Best Awards dinner at Kybecca on January 30, 2019. Together, (top row) Pete Ball, Residential Sales Consultant; Thomas Leachman, Residential Sales Consultant; Nigel Kelly, Director of Business Development; Doug Barnett, Vice President, Global Business Development, (second row) Charles G. McDaniel, Chairman; Mike Sandell, Vice President, Business Development; E.J. Radford, Director, Business Development; Justin Mahon, Director, Business Development; and Johnny Abbott, United Van Lines’ Van Operator of the Year and Hilldrup’s Van Operator of the Year, all join for a photo after the Best of the Best Awards dinner at Kybecca in downtown Fredericksburg, VA.
Hilldrup’s Best of the Best Value of the Year Award winners included from left, Tim Licata, Manager, Local Operations – Unwavering Commitment; Maria Piekarski, Move Counselor – Fearless Communication; James Lewis, Access Coordinator, Operations – Uncompromised Integrity; Darcy Duxbury, Customer Assistance Counselor – Infectious Positivity; Mike Mannifield, Van Operator – Purposeful Agility; and Jessica Douglass, Move Coordinator – Empowered Accountability. Congratulations all!